We all know the feeling, needing that one piece of gear, which not only completes your outfit but enhances your workout. 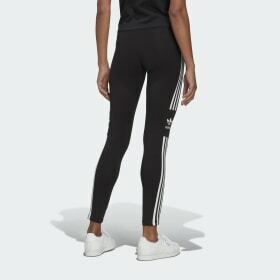 Training tights for women are very important in terms of design, comfort and performance and adidas offers the very best so you can perform to your best whatever you’re doing. Technical, comfortable and stylish, adidas has everything you need and more. Whether for the gym, yoga, a spinning class or going for a run, equip yourself with sweat-wicking gear which allows for free movement. To maximise everything from your workout it’s important to gear up in style. 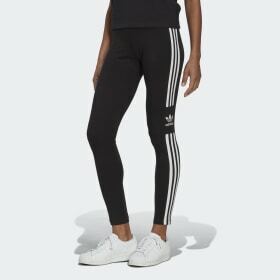 adidas Training sports the best in tights, take your pick from an extensive range to take your game to the next level with the very best in elite sportswear. Whether short tights, long or ¾ quarter length tights, you can expect in a full return terms of function and fashion. Whether for your own exercise session in the gym or a group HIIT (High Intensity Interval Training) class, it’s important to look and feel the part. Show you mean business and are ready to workout with your gear. Techfit tights, elite base layer gear allows for no weakness and will enable you to power on for longer. Style meets function with full coverage and complete style. The latest collection of sports leggings are just what you need in elite workout gear for women. With sweat-wicking fabric enabling extended sessions and elite fabric compositions allowing for comfort and free movement, make your move to upgrade your sporting wardrobe and complete your gear with our sports bras. Built for endurance whilst giving off the wow factor, tights by adidas by Stella McCartney are perfect examples of elite performance and cutting-edge design. Bold, playful and figure hugging, it’s time to sharpen your fitness aesthetic. Take your workout to the next level with designer features through adidas by Stella McCartney, Techfit and other technical gear like women's tracksuits and sweatshirts.